We have focused on these three areas as they conform with Newcastle City Council’s policy regarding hierarchy of users discussed in our previous article on ‘Compliance with Adopted Policies’. SPACE will discuss vehicle movements in our next article ‘Blue House Measures of Success Part 3 | Traffic’. 2.2.1 A clear distinction can be drawn between streets and roads. Roads are essentially highways whose main function is accommodating the movement of motor traffic. Streets are typically lined with buildings and public spaces, and while movement is still a key function, there are several others, of which the place function is the most important (see ‘Streets – an historical perspective’ box). The Town Moor is clearly a much loved public space for people to visit (the ‘place’ function), while the junction has historically been designed to accommodate motor traffic (the ‘movement’ function). We would like to challenge that definition of movement, as we believe that moving people in the most efficient, clean, safe way must be the primary objective. The success of the Blue House junction will be the volume of people who can safely traverse junction regardless of their chosen mode of transport. Pedestrians are reasonably well serviced in the quality and extent of pavements around the Town Moor. Some stretches have “shared space” with cyclists and this needs to be delineated so that it is clear which is pavement and which is cycle track/lane. However, the major issue is with the crossing points around Blue House. There is currently no safe way to cross the road on foot at the junction, especially as the speed limit is 50mph at the crossing points. People are abandoned on the refuge islands surrounded by four lanes of vehicles when only half way across the road. This feels intimidating and unsafe, and as a result for many people dangerous and frightening. In addition, the junction discriminates against people with disabilities, visually impaired and blind people, people in wheelchairs, older people, people with prams/buggies, and children. SPACE recommends the assumed walking speed should be 0.8m/s to be used in calculating crossing times. This is to assist those who cannot walk so quickly to cross the road. The crossings should be a single phase with no pedestrian refuge area. It should be possible to cross the whole road in one go rather than having to wait in the middle. People crossing the junction must be clearly visible and within the line of sight of people driving with no visual impediments such as signage. Best practice for cycling on this type of road requires separated cycle lanes/tracks which are continuous and as far as possible interruption free. Cycling is not serviced well around the Blue House junction and the issues that face people cycling are similar to those for people walking. All of the pavements are classified as shared space with pedestrians, this can result in areas of conflict and discomfort for both pedestrians and cyclists. In particular, the current crossing points are designed to accommodate one or two pedestrians and are not wide enough to accommodate a bicycle and certainly not a bicycle with trailer. SPACE believes that there is sufficient space around the Blue House roundabout and on its approaches to accommodate separated cycle tracks in conjunction with single phase Toucan crossings safe crossing points. 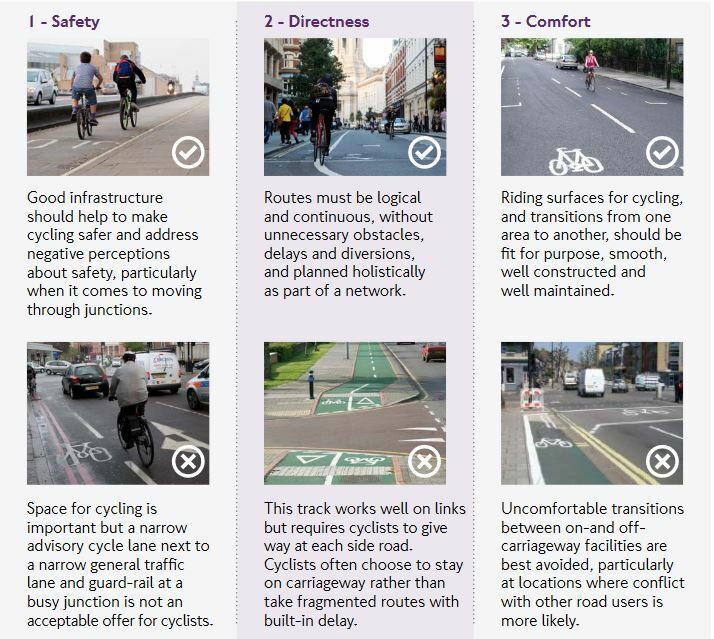 To provide people with a safe, easy to use and comfortable cycling experience which in turn will encourage more people to take up cycling, SPACE recommends that the following measures, as documented in the London Cycling Design Standards 2014 are used to measure successful outcomes. SPACE is aware that Newcastle City Council engineers utilise these standards (as well as others) to assist in the design of the city’s cycle network. The London Guide documents six core outcomes which ‘together describe what good design for cycling should achieve: Safety, Directness, Comfort, Coherence, Attractiveness and Adaptability. These are based on international best practice and on an emerging consensus in London about aspects of that practice that we should adopt in the UK. They are important not just for cyclists but for all users of streets, public spaces, parks and riversides, where investment in cycling has the potential to improve the quality of place’. 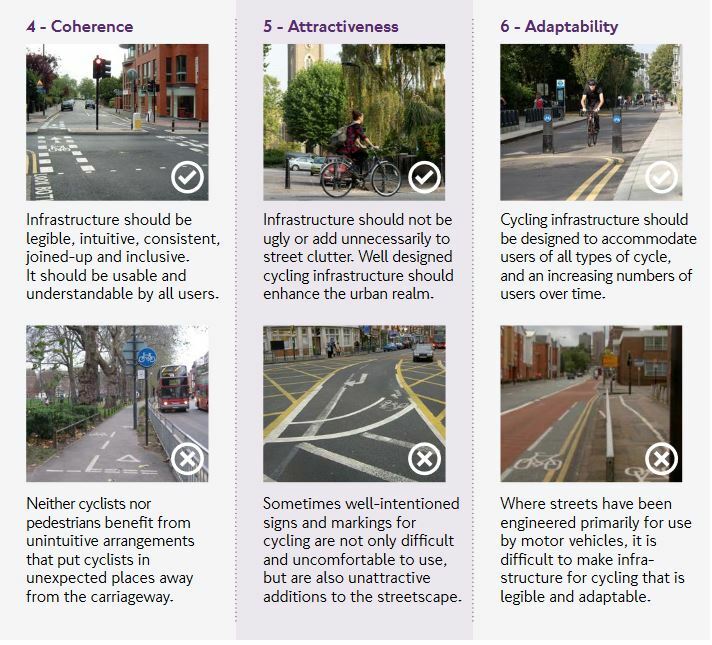 In conjunction with the six successful outcomes documented above, the junction itself can be assessed utilising the Cycling Level of Service (CLoS) assessment tool which is based on these six design outcomes. CloS breaks down each outcome into further levels of detail, for example, the safety outcome contains three factors: collision risk, feeling of safety and social safety. For the Blue House junction we don’t need to cover the whole CLoS assessment, we can analyse the proposed junction from the perspective of cyclist movements and provide an estimation of potential conflict. We can also use these tools and techniques in a wider context to help develop a walking and cycling network. The Blue House roundabout is after all just one point in someone’s journey when travelling E-W N-S and all points in between. 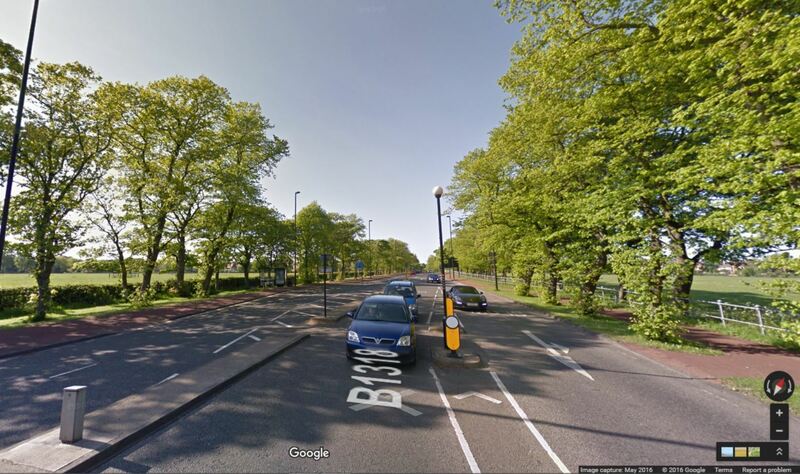 Jesmond Dene Road is also being considered by the working group. The critical point on this route is the bridge at the top of Osborne Road. There is clearly insufficient space for everyone, whether walking, cycling or driving. The CLoS assessment tool will be particularly useful in deriving a solution and successful outcomes for this key junction. Buses can help large numbers of people travel through the junction quickly and efficiently. A full bus at rush hour can carry the same number of people as over 60 cars. The best outcome for buses is one where they, and their passengers, are able to reach the junction quickly and reliably without being delayed by other vehicles. Bus lanes are already in place on approaches to the junction from the north and south. North bound on Great North Road a continuous lane from the Haymarket stops at the Forsyth Road junction then continues towards Gosforth after the Blue House roundabout. 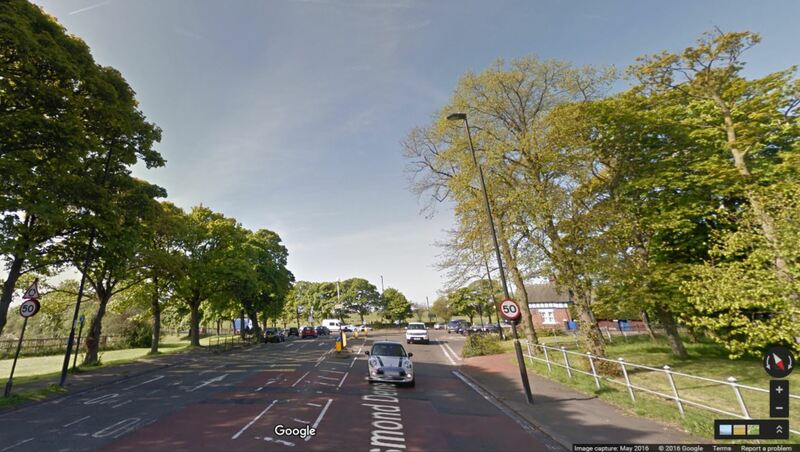 South bound the bus lane runs from Moor Crescent and stops at the Blue House roundabout. Increasing the number of people who can reach their destination quickly through the junction is a key measure of success. While we can review the volume of buses negotiating the junction there is no data available (to our knowledge) on the numbers of people who are using the buses through the junction and/or their journeys (regarded as commercially sensitive data). For an effective public transport system this poses a particular challenge in assessing a change in behaviour where more people use the bus rather than drive. There are approximately 96 buses per hour crossing Blue House travelling north – south into and out of the city centre. 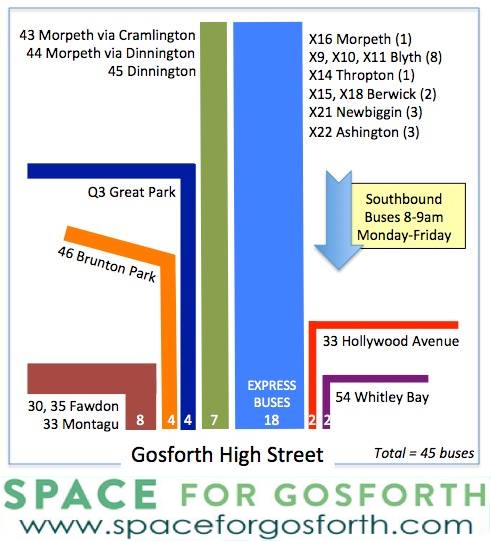 There is only one bus service which services both Gosforth High Street and Osborne Road. There are no bus services running down Grandstand Road and onwards to Haddricks Mill. If you need to head to one of the employment zones to the east – for example the Freeman Hospital, Cobalt Business Park, Benton Park View (the ‘Ministry’) – it is necessary to take two buses changing at Haymarket. Bearing in mind one of the key reasons for the previous roundabout plan was the forecasted figures of people taking to cars from the new housing developments to the north and north west of the city it is vital that people are provided with fast reliable and where possible direct public transport services. The current bus services provide the opportunity to carry approximately 5,640 people through the junction per hour. Speed of traffic at the junction can have a detrimental effect on buses attempting to negotiate the Blue House roundabout. Currently the junction sits within a 50mph limit. Cars and vans move much quicker on the junction itself and this can limit the number of opportunities a bus can pull away. This can cause delays and waiting buses add further to levels of air pollution. Future capacity on east – west routes. 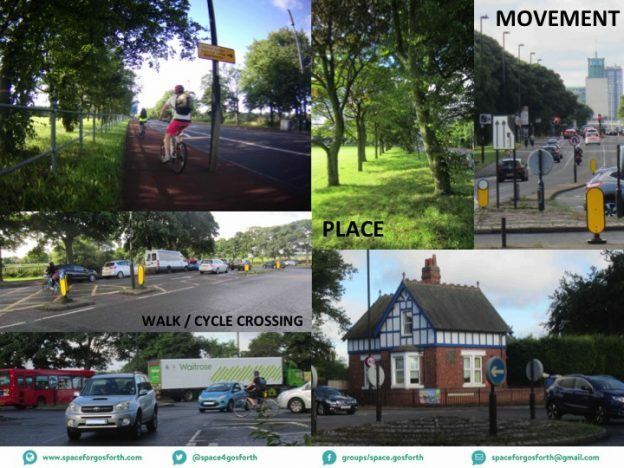 Please do let us know if you have any questions, comments or suggestions for how these measures could be improved to meet SPACE for Gosforth’s objective of a Safe Pedestrian and Cycling Environment for Gosforth. We look forward to hearing from you. This entry was posted in Blue House and tagged Blue House, buses, cycling, public transport, walking on December 6, 2016 by SPACE for Gosforth. You have quoted more than 5,500 people ‘have the opportunity’ to take the bus. Can you obtain the ‘actual’ passenger numbers, which would be the more interesting figure? If there is a crossing established at the top of Matthew Bank at ‘Friday Fields’ cut I reckon that would be five sets of lights before stopping at the BHR (if another crossing point is also sited just before BHR). That is going to slow down traffic markedly through a residential area and lead to more pollution surely. Michael – thank you for taking the time to read our summary and commenting. Unfortunately we can’t obtain the actual passenger numbers as this is regarded as commercially sensitive data by the bus companies. We can only estimate based on the 90 odd buses that go up and down the High Street every hour. Regarding your comment on the ‘Friday Fields’ cut, that would indeed increase the number of potential stopping points. However, it is a crossing point that the residents in the surrounding area use frequently and feel is currently dangerous. There is of course no simple solution with regard to the impact on air quality other than fewer vehicles will mean less pollution.